We will be teaching a class on Sunday afternoon, September 17, 2017, starting at 2:00. Class will cost $45. If you are interested please follow this link. I am growing fish in an in-ground tank in the greenhouse here in Hempstead Tx. Most farm raised fish are fed unnatural diets of corn and soy and given antibiotics to ward of the illness that follows. We are feeding our fish larva, algae, duckweed, comfrey and dehydrated greens, all grown organically on our farm. Two of our tanks are a 2500 gallon holse dug in the middle of a hoop house lined with pond plastic. The tilapia cannot survive the cold winter temperatures, so we have to heat the water on the coldest nights. The pond will then heat the greenhouse which is full of tomato seedlings most of our normally short winter season. 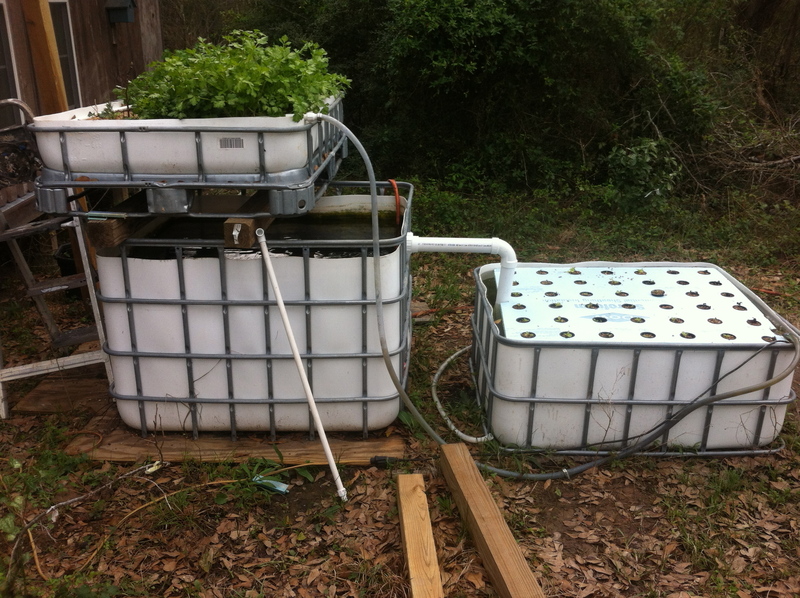 We have both continuous flow systems, best for watercress, and media systems grow many different types of plants as an experiment.